In a mixing bowl, combine the salt and flour by hand. In a separate mixing bowl, beat the eggs and the oil together with a fork until combined. 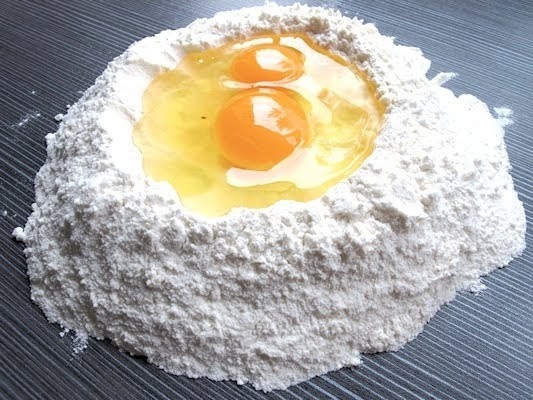 On a hard, smooth surface, place the flour and salt mix and make a deep well in the center. Pour the egg mixture into the well. Working from the inside out with a fork, form a ball of dough. Place the dough in a stainless steel bowl; cover with plastic wrap, and let the dough rest for 15 or more minutes. Knead the dough by hand on a lightly floured surface until it is firm and smooth. Cover with plastic wrap and let the dough rest again for about 15 more minutes. Cut the dough into quarters. For each piece, roll ½ inch thin with a rolling pin into a long oblong piece. Fold the dough inward like a trifold wallet. Roll with rolling pin to about ½ inch thickness. With the pasta maker set at the largest setting, run the dough through. 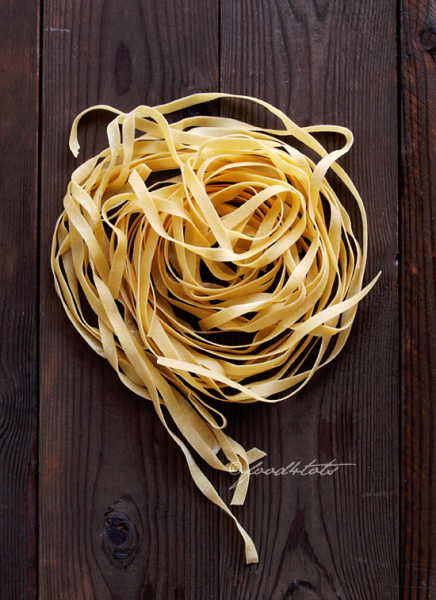 Reduce the pasta maker thickness setting one size each time you run the dough through until you reach your desired thickness.